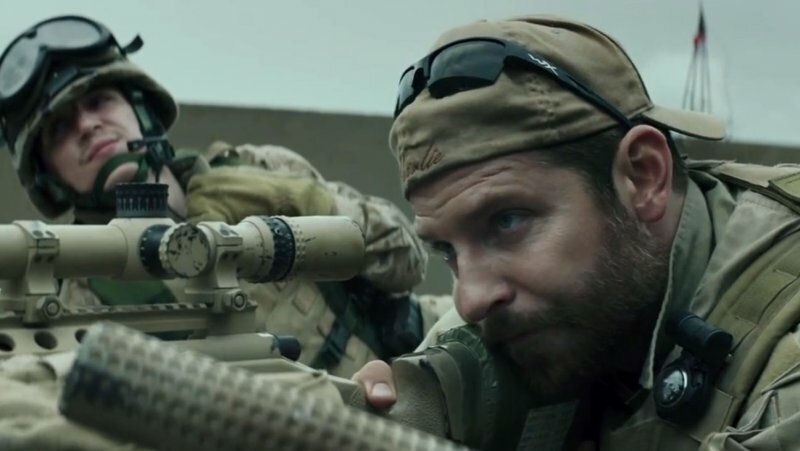 There’s been a lot of controversy about American Sniper, and I think rightly so. What’s being sold to Americans as the real-life story of a great war hero is largely fictionalized and distorted, a movie that elects to glamorize war when war was what destroyed its hero*. The thing is, a lot of the controversy has taken the form of character assassination against Chris Kyle, and I think that’s wrong. Whether he lied about events in his life, whether he was less than honest about his book proceeds, Chris Kyle is not what’s wrong with American Sniper. Kyle was human, he had good and bad to him, and did good and bad things, the way any real-life human does. Where people should take issue is with the movie, largely because of what it’s doing with Kyle. * An aside here: What’s most disappointing to me is that Unforgiven, Eastwood’s best movie, is perhaps the most brilliant film ever made about the way violence and killing destroy a man’s soul. One has to wonder whether William Munny would think Chris Kyle was a hero. I’m pretty confident I know his answer. This man’s country programmed him to hate, programmed him to kill unquestioningly. You might argue about his remorse, and that’s fine–I certainly can’t say you’re wrong–but the human being Chris Kyle was resolute in every interview that he never felt remorse, and he wished he could have killed more “savages.” He even wrote a book that said so. So we should take him at his word–but of course how could any person end 250 lives (as he claimed), looking at each one of them individually down the barrel of a rifle, unless he found a way not to care? It’s the same programming we’ve all undergone. 100 years ago soldiers viewed war as a tragedy, they saw the way it chewed up the good lives on both sides of the conflict, and for nothing. For some territory, or some royal pride, or some profit, none of those things the soldiers themselves would share. Now we’re so acclimated to war, so programmed by the constant barrage of propaganda, we take for granted that anyone we’re fighting must be “evil.” Nevermind that they are innocent of anything except trying to defend their homes and their families, they are “evil” and undeserving of a second thought. We, the American public, sent Chris Kyle to Iraq. We supported that war. We put him there, we empowered him to kill those people, and we’re responsible for the death and the suffering and the destruction of lives, Iraqi and American, that went with it. That same destruction, in the form of a fellow soldier with PTSD, ended Chris Kyle’s life. The man was not even 40 years old. So what do we do now? We take his life and his service, and we distort it into this super-hero narrative, exploiting his image to produce more propaganda that will send more young men and women into war for no reason. We’ll use it to reassure ourselves that “our enemies are evil,” and never pause to think that if the roles were reversed, if it was an Iraqi sniper picking off armed American civilians who were trying to defend their homeland, he would be the villain. We’ll watch this movie and we’ll go around saying he’s a “hero,” without really thinking about what that word means, without considering that while his service and his courage might be heroic, what we should call him is a victim. He’s a victim of a society and a system that teaches people not to feel, that rewards unquestioning obedience, that teaches us all that we are in constant peril at the hands of our faceless “enemies,” and puts thousands of our people in a kill-or-be-killed circumstance for no reason, except perhaps profit, and then rewards the ones who kill the most people with fictional narratives about their heroism. So please, let’s not make this about Chris Kyle, the real human being. Make it about the movie, and how it distorts reality to reinforce the same damaging narrative that destroyed his life.